Third Thursday: a Poetry Event continues on Thursday, September 15. The event will take place in the FCCU Community Room on the first floor of the Dwight Foster Public Library in Fort Atkinson from 6 to 8 pm. Each month there is a featured poet or poets followed by an open mic poetry reading. In September the featured poet is Nancy Rafal. Nancy has entered the SNAPDRAGON phase of her life—part of her has snapped and the rest of her is draggin’. She wrote her first poems when she was in seventh grade. The work she will read is, thankfully, more recent. Living in the boreal forest of northern Door County has inspired her poems. The actions of family and friends provide fodder too. She is co-author, along with Judy Roy and June Nirschl, of the chapbook, Slightly Off Q. Numerous editions of the Wisconsin Poets’ Calendar, issues of the Peninsula Pulse, Sheepshead Review, and Free Verse have contained her work. She and Kathy Miner were co-editors of the 2009 Wisconsin Poets’ Calendar. 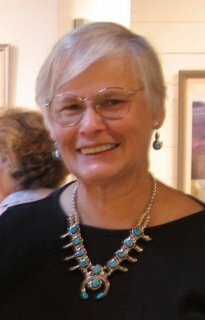 Third Thursday is sponsored by the Friends of Lorine Niedecker and is free and open to the public. You do not have to bring a poem to read in order to come and enjoy the event. However, poets are encouraged to come and read some of their work. The Dwight Foster Public Library is located at 209 Merchants Avenue in Fort Atkinson. Contact Amy Lutzke at (920) 563-7790 for further information or check online at http://www.lorineniedecker.org.